This bridy lover isn’t popular within the Cat kingdom. An ex trooper or police officer was outraged about his neighbours little felines killing his beloved birds, in total he killed nine of them – and got rid of their body in the neighbours own garden, according to a report. 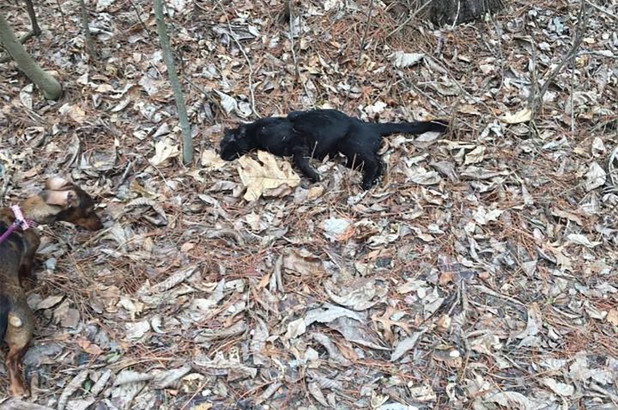 “What was really so frightening was the expression [one cat] had on its face — almost like it was screaming with its eyes open,” said Liz Masterson, who found the cat carcasses on her land. “Who does something like that?” she seethed. Masterson (the owner) spotted the first of nine kitties dead in February – and later caught the ex-police in the act, she said. “I saw the suspect get out of his vehicle, open his trunk and toss a dead cat on my property,” she told the station, adding she recognized Greiner as someone who used to live nearby. “It’s been terrifying. I took every cat that I found as a threat to myself and my family, my kids, my pets,” she said. Portage detective Dan Garrigan said the former cop simply had it out for the cats. “He didn’t like the fact that they were in his bird feeders and took matters into his own hands and trapped these cats,” Garrigan said. Masterson, who now lives 20 minutes from Greiner, said she has no clue why he would target her. He retired from the Wisconsin state patrol in 1997.